How Is Your Mind Holding You Back? Are you feeling happy and enjoying life? Do you feel that your world is expanding you’re growing as a person and experiencing great things? Are you feeling frustrated, trapped, blocked or bored with your life? Creating your own prison bars? Is Your Mind Driving You Forward or Holding You Back? If there are some areas of your life that are working really well, then it’s likely that you have a set of positive beliefs about that aspect of your life, but if there is an area of your life that isn’t working, then it’s likely you have some underlying negative beliefs, that are holding you back. Knowing your start point is really important and I use a great coaching tool with my clients, to establish what’s working well and what’s not working so well in their lives. The Wheel of Life is available as a FREE Download and you’d like to receive your copy, just leave me your name and email address in the sign up blox and I’ll send it to you. This tool really helps to give some clarity on what’s working well or not in our lives and helps to identify what changes we can make that will enhance our life. It’s amazing how making some small changes can have a massive knock on effect on lots of other areas of our lives. However, sometimes we make plans to change and maybe we even start new things, full of enthusiasm and determination, but then somewhere along the line, we lose our motivation or we just give up completely. However, Beliefs aren’t the only things that hold us back and one of the biggest blocksto our success is FEAR. “What if they leave me, hate me, laugh at me” or “What if I’m left on my own forever” etc. We may start to create stories about what might happen, if we make changes and often we create negative pictures of the future, based on what we’ve learned from past experiences. We may also have people in our lives who try to hold us back because as we begin to change, they feel like they’re being left behind. When we plan to make changes in our lives, it’s helpful to think about who is likely to support you and motivate you to change and who is likely to hold you back. Are there people in your life who try to put you off doing new things or maybe they just make those little comments here and there which dash your hopes and dreams? Have you ever started working toward your goal and initially you’re full of enthusiasm and then at some point, you seem to be taking one step forward and two steps back, or maybe you’ve lost your enthusiasm and you just feel stuck or possibly you feel completely overwhelmed with what you have to do, so you do nothing? Have people around you started to notice the changes you’re making and they’ve started to make those little comments: “You don’t need to do that” “Why are you bothering, nothing will change?” etc. So now you’re questioning whether you should just stop and go back to where you were before? So How Do We Overcome These Blocks? Plan Ahead – if you think about all the things and people (including yourself) that may try to hold you back, you can think about some strategies for how you’ll deal with it. You’ll also notice more consciously when something is happening that is starting to hold you back or to make you think negatively. When you notice the early signs, you can jump in with your new strategy. Complete the Brilliance Within Life Audit – clarifying your start point, understanding your core values and current beliefs and developing a clear vision for where you want to go, makes it easier to start taking steps toward your new goals and dreams. It also helps to remind us what skills we’ve already learned that will help us and to identify what new skills we may need to learn. Be Conscious – Start to notice your own thoughts and be aware of the comments that other people are making. If you notice you’re having some negative thoughts, sit down with a piece of paper and identify what the beliefs are that you hold that are supporting the negative thoughts. Challenge Yourself – Ask yourself whether the way you’re thinking is the only way to think. Put Your Shoe On The Other Foot – Try looking at what’s happening from a different perspective. Our mind interprets situations, images, words etc. based on what we’ve learned from previous experiences and may no longer be the appropriate way to think. What we learn about ourselves as a child, may well have been based on someone else’s misconceptions about themselves or us. Asking ourselves if there is a different way to think about something, can help to break down some of our barriers to success. Review Progress – If you start to make some changes, it’s important to ask yourself regularly whether or not you’re moving forward or whether you’re drifting back into old habits and behaviours. If you’re not moving forward, something’s holding you back – what or who is it? Develop a Dream Team – gather people into your life, who you know will inspire and support you to change. These may be friends or family members but may also be coaches or YouTube videos of people you find inspiring to watch. Know your Mean Team – identify the people who may want to hold you back. You can’t just drop family members from your life, but if you think there are people who hold you back, think about how you can avoid them for a while or what you can say to them to neutralise their impact on your life. People close to you often feel threatened by change – you will come across critics – your own voices and other peoples. Recognising who they are and having a plan to deal with their comments, really can help to keep you on track. There may be some people that you can simply drop from your life. We often hold onto friendships that have become toxic… learn to let them go. Break down your barriers and enjoy living the life of your dreams. Change your perspective – you may be surprised what you see. Have a look at the picture – what do you see? Scroll down to the very end of this post for the answer…..
Keep scrolling for the answer and then come back and watch this incredibly inspiring video. This video will really shift your perspective on how you think about life! What did you see? – Did you see the parrot? It looks like a parrot doesn’t it, but now take a closer look…. If you only saw the parrot when you initially looked at the picture (which is what the majority of us see), this shows how our brain is interpreting the clues but in this case adding the 2+2 and getting the answer as 5….. The brain ‘got it wrong’ and sometimes it’s a struggle for us to change the ‘angle’ and find the ‘truth’ about what is really happening in our own lives too. Can you see the lady who has been ‘body painted’ to look like a parrot? If you’re really struggling to see the ‘lady’ – start with the end of what looks like the parrot’s tail and see the ‘blue foot’ then work up the leg and the body, to the arm wrapped around her head to form the parrot’s beak..
Hopefully you can now see the painted lady? You thought you saw a parrot and you were wrong. What else might you be thinking you’re right about but maybe you’re not? Previous Post Was James Allen One of the Original Law of Attraction Guru’s? 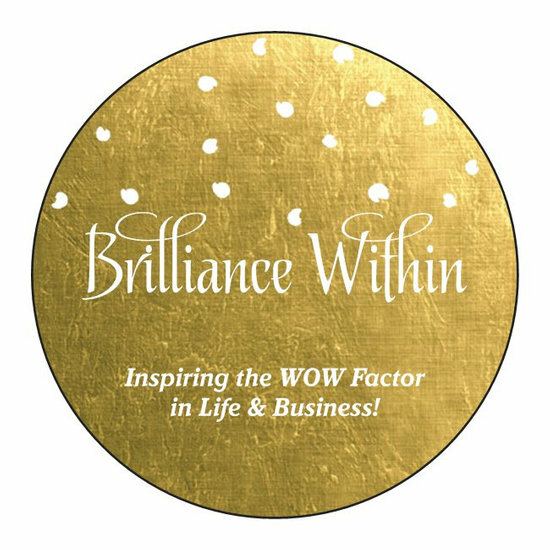 Next Post How a Brilliance Within Life Audit Can Help Transform Your Life? Well firstly, I have to say that it took me AGES to see the woman in the picture. All I could see was the parrot until I really focused and then I saw her, every part of her so clearly. What an inspiring post Wendy, your words rang so true and so much of this really resonated with me in a deep way, particularly as I feel like I’m living some of what you mentioned here. Yes, naysayers are no good for us, especially when they’re well meaning family members, but you’re right, the biggest block and hurdle is ourselves and changing our own thoughts.